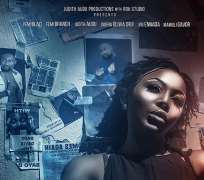 Judith Audu Productions releases the official poster for the movie ‘OBSESSION’. It is produced by Judith Audu, Directed by Uduak-Obong Patrick, and is written by Rita Onwurah, Director of Photography David Wyte, BTS by Ritzy Arts, Costume Designer Joan Gbefwi of Jowys Fashion Consulting, Make up by Delola Fadipe. It stars Amazing actors like Yemi Blaq, Femi Branch, Odera Olivia Orji, Ifu Ennada, Judith Audu, Mawuli Gavor, Oludara Egerton Shyngle, Uche Obunse, Bolaji Ogunmola, Nifemi Lawal, Seth Patrick. A once upon a popular actor who's having to deal with the reality of his fading prime finds himself in an entanglement which he finds difficult to break free from.